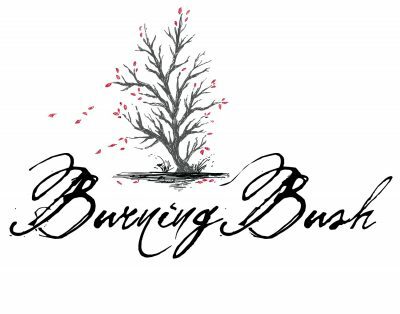 Burlington Park, located just north of the Burlington train tracks in downtown Hinsdale, is home to the annual Hinsdale Fine Arts Festival and summer Farmer’s Market. 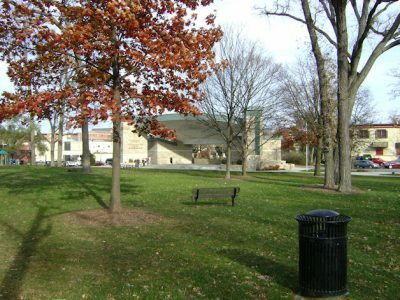 The mature trees and park benches make this a beautiful location to sit and enjoy nature. The signature fountain adds to the ambiance of this scenic respite. Cantigny Park, part of the Chicago-based Robert R. McCormick Foundation, is the 500-acre Wheaton estate of Robert R. McCormick (1880-1955). 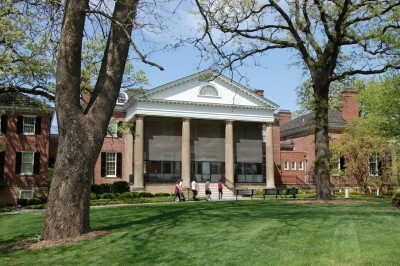 It is home to the McCormick Museum, First Division Museum, formal gardens, picnic grounds, walking trails and a Visitor Center with banquet and dining facilities. More information, including hours, directions and upcoming events is online at Cantigny.org. 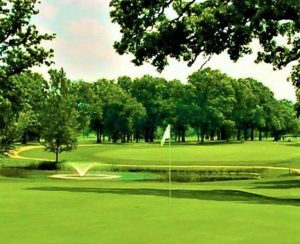 Cantigny Golf, adjacent to the park, features a 27-hole championship golf course, full-service clubhouse, Cantigny Golf Academy and the 9-hole Cantigny Youth Links. For more information, visit CantignyGolf.com. 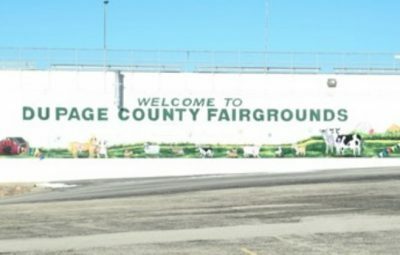 The DuPage County Fairgrounds, established in 1955, is dedicated in “Preserving Our Past to Protect Our Future”. Throughout the years the DuPage County Fair Association’s Volunteer Board has shown a passion for putting on a great annual fair for all our guests. 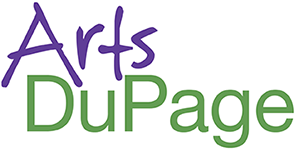 The DuPage county Fairgrounds hosts the annual DuPage county fair and many shows and expos throughout the year, with most open to the public. With our current President Chuck Ingram, our Manager Jim McGuire and staff we are dedicated to bringing you the best fair experience possible. Walk in heroes’ boots! The U.S. Army’s 1st Infantry Division comes to life within our hallowed halls, where fascinating exhibits and interactive displays capture the proud history of the “Big Red One.” Prepare to be transported to the trenches of World War I, the beaches of World War II and the jungles of Vietnam. Along the way, take in our outstanding collection of soldier uniforms, awards and personal mementos, plus a vast inventory of institutional artifacts such as weapons and vehicles. Outside, explore our iconic tank park featuring 100 years of armor. 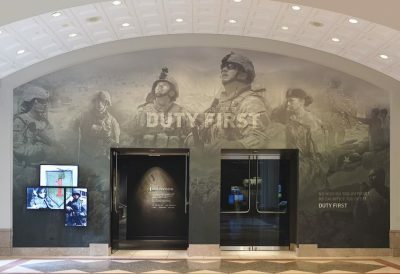 The First Division Museum is a tribute to all those who have served and continue to serve to protect America’s freedom. Fischer Farm is believed to be one of the oldest remaining homesteads in the county, established by the Fischers somewhere around 1838. Through the years, the Fischers built barns and a large farm house in 1920. The five acres of land at Fischer Farm is a Bensenville Park District public park. The land just north of the cabin has been left untouched and is valued for its original seedbeds. This unchanged landscape is what settlers peered upon when they arrived in the area. Fischer Woods is a rare forest preserve with the remnants of prairie, wetland and woodland ecosystems. 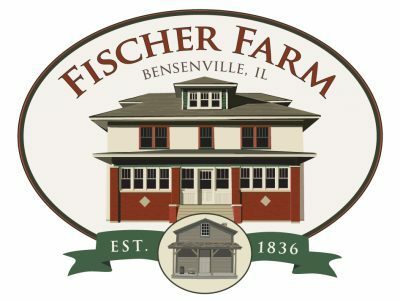 The mission of Fischer Farm, based off of the mission of the Bensenville Park District, is to enhance the quality of life through the preservation of our local and natural history, and through recreational opportunities for all to enjoy. Program shall promote the awareness of the historical and ecological significance of the site. 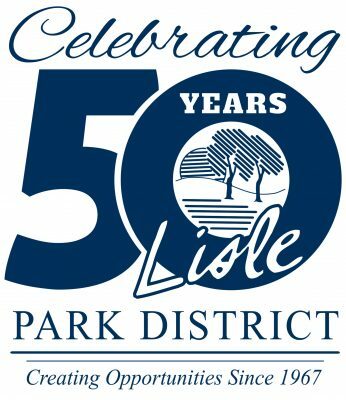 The Bensenville Park District in partnership with the DuPage County Forest Preserve has been working to restore the property and land. We invite you to come and enjoy this piece of history! The Riverwalk park setting around the Moser Tower is open year-round during normal park district hours. Visitors are welcome to listen to the harmonic bells of the carillon at any of the scheduled performances. Many visitors bring collapsible lawn chairs. Concerts usually last about one hour. From May through October, Moser Tower is open to the public on weekends, weather permitting. 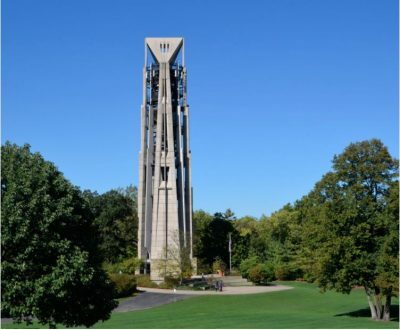 Visitors can climb the 253 steps to the observation deck near the top of the 160-foot tower, enjoy a spectacular view while learning about the workings of 72 different-sized bells and reading their engraved messages, and getting to know the unique features of one of the world’s largest musical instruments. On a clear day, we highly recommend the climb to the observation deck of Moser Tower where you can see the Chicago skyline. Considered the “crown jewel” of Naperville, the Riverwalk is a place of beauty and tranquility along the West Branch of the DuPage River. 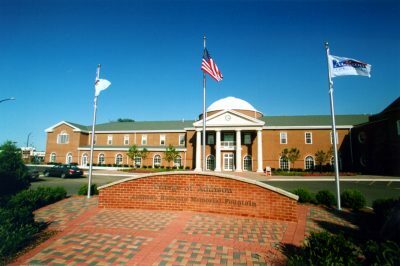 It features 1.75 miles of brick paths, fountains, bridges, meeting and event places, outdoor sculpture and artwork, recreational facilities, and celebratory memorials. The Riverwalk is a preferred destination and an ideal place to stroll, unwind and reflect. Come relax and enjoy the scene. The Riverwalk has something for everyone. Best of all, it’s a place to be enjoyed for generations to come. 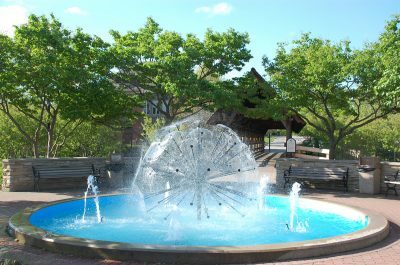 The Naperville Riverwalk was created in 1981 as a permanent commemorative to honor Naperville’s 150th anniversary. Embraced as a gathering place for all ages, the linear park is a focal point of the community. Its covered bridges, fountains, landscaping and distinctive shepherd’s crook light poles are symbolic of Naperville’s ties to its historic past as the oldest settlement in DuPage County. In the early 1980s, residents donated their time, money and materials to transform a once-forgotten riverfront into a beautiful park that is enjoyed by residents and visitors alike. The Riverwalk is highlighted with exceptional amenities along its path. 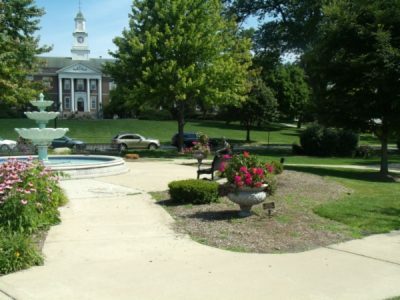 To the east, visitors enjoy the stunning beauty of Fredenhagen Park with its landmark clock tower and Exchange Club Memories Fountain. Midway, the Dandelion Fountain, Paddleboat Quarry and unique bell tower can be found. 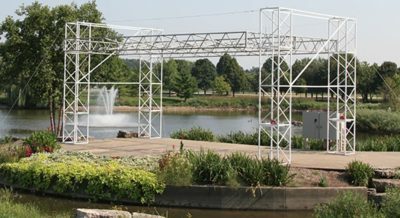 Further west is historic Centennial Beach – a popular family destination – Centennial Park with its inline skating/skateboarding facility and the Jaycee Playground – an ADA-accessible recreational area. 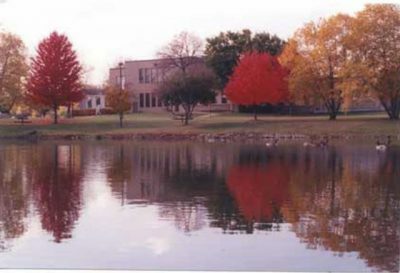 Built in 1926, St. Andrews is a public facility owned by the Jemsek-Hinckley family.There are 2 championship 18 hole courses, 4 banquet rooms for weddings & parties, an exquisite outdoor wedding ceremony area, & a top rated 32 acre Practice Center. History: On July 2, 1925, the West Chicago Press ran a front page story, A New Course to be Laid Out North of Here. This was announcing the birth of St. Andrews Golf Club. Built on 244 acres of farm land, this new 18 hole private course (designed by John McGregor) would be ready for membership in 1926 and would become course #1, St. Andrews, in future years. 1929 would see the completion of the #2 course (Lakewood/Jemsek) which was designed by E. B. Dearie, Jr. Now while all of this was going on in West Chicago, a young kid from Argo, named Joe Jemsek, started hitching rides to Lemont so he could caddy at a new course called Cog Hill (which was built by the Coghill brothers). At sixteen, Joe decided to try and make a go at being a professional golfer by entering tournaments and even trying the winter tour. Unfortunately each spring he found that he had gained no more than he had started with. With that realization, he started concentrating on the business side of golf. Working side by side with Marty Coghill, Joe began to learn about every aspect of running a fine tuned golf course. From maintenance crews to tournaments to bookkeeping and merchandising, Joe tried to cram in as much golf knowledge as one could cram into a dawn to dark workday. Eventually these experiences allowed him to become head pro and to take over ownership of the Cog Hill pro shop. Now back to West Chicago. Remember, St. Andrews started out as a private club. It did not do well only having 18 holes and so it was sold. The new owners, recognizing the problem, soon added the second 18 holes. But then, in 1932,financial problems caused by the depression caused it to be taken over by one of the original investors, Frank Hough. Unfortunately, Mr. Hough died a few years later, leaving St. Andrews and the neighboring Lakewood Housing Subdivision to his two daughters, Grace and Alice. The two sisters and Alice’s husband, Phil Flanagan, tried to run St. Andrews but it was too much, both physically and financially (They had to take out a loan to keep the course afloat.). It was at this point that Mr. Flanagan was referred to Joe Jemsek. He called Joe in for an interview and offered him the job of Head Professional and Club Manager. Joe decided to make a change and take the job. So in 1938, Mr. Flanagan hired the young Jemsek to be the pro/manager at St. Andrews. As Joe began to familiarize himself with St. Andrews, he also began to notice one of the other owners, Grace Hough. Family history states that there was a dance coming up and as Joe loved to dance, he asked Grace to go with him. A little known fact about Joe is that not only did he love to dance, he excelled at it. So much so that he had won many a dance competition. And wouldn’t you know? Grace had actually trained as a dancer, including ballet. They obviously found chemistry off the dance floor as well as on the dance floor because they were married a year later, in 1939. At this point, the two sisters decided to split up the inherited property with the Lakewood Subdivision going to Alice and St. Andrews going to Grace. The only problem was that St. Andrews had a debt. Luckily in February of 1940, with $23,000 in the bank, Joe and his wife were able to get a 2nd loan for $50,000 so they could wipe out her family’s 1st loan and claim full ownership of St. Andrews. The Jemsek legacy had now begun. As the new owner of St. Andrews, the public course, Joe quickly realized that they did not have enough business to fill one golf course let alone two. He first closed one of the courses until they had enough golfers to open both. He then went out to the local communities and began to cultivate an interest in golf by giving free lessons and starting golf leagues. At the same time, he began his life long policy of pouring the profits right back into the course. This paid off in regular golfers as well as national acclaim as one of the finest daily fee courses in the country. The proof of this being that in 1947, St. Andrews was chosen as the first public course to ever host a U.S. Open Qualifying Round. His success also led to opportunities for his family. His parents and siblings were able to come and help at the course, while his wife, Grace, was able to return to teaching. (She had given up her favorite job to help with the course.) Not only did Joe believe in pouring back the profits, but he also believed strongly in advertising and promotion. In 1949, Joe originated golf on TV with Pars, Birdies, and Eagles. This thirty minute, weekly show of instruction and rules was regularly staffed by leading tour pros and amateurs and ran for fourteen years. In 1951, Golf World stated that he budgeted $15,000 for advertising and payrolled no less than three touring pros. In April, 1951 two of his tour pros (Henry Ransom & E. J. Harrison) were listed on all three PGA Tour leading lists (Leading Money Winners, Vardon Trophy Leaders, and Ryder Cup Leaders), all with St. Andrews, Ill. behind their names. 1951 had a perfect finish when Joe was able to purchase Cog Hill, where his golf career had begun as a caddy. Then in the early 60’s, he was one of the first people involved in televising golf matches with the TV show, All Star Golf. Over the years, Joe realized many of his achievements and dreams. By 1985, Joe Jemsek and his family owned or leased five different golf courses in the Chicagoland area. In 1987 & 1991 he was the “Illinois PGA Golf Professional of the Year”. He was cited as one of the “100 Heroes of Golf” by Golf Magazine in 1988. 1991 saw the realization of his life long dream of hosting a PGA Tour Event. Cog Hill was named the new home of the Western Open, one of the oldest Tournaments in the country (now the BMW Championship). Also in 1991, he was named “One of the Most Powerful People in Golf” by Golf Digest Magazine and he was named, national “Golf Professional of the Year” by the PGA of America. Currently, the Jemsek Families own or lease four golf courses, three in the Chicagoland area: – St. Andrews G. & C.C., owned by Marianne (Jemsek) Hinckley and family – Cog Hill G. & C.C., and Pine Meadow G.C., owned by Frank Jemsek and family And one in the Atlanta area: – Summer Grove, owned by Frank Jemsek and family To this day, all of Joe’s courses are distinctly known for their excellence in customer service, for carrying on the Joe Jemsek philosophies of excellence in golf and banquets. Specifically in 2017, St. Andrews was voted “Best Wedding Reception Venue” and “Best Golf Course (Public)” by Daily Herald Readers. 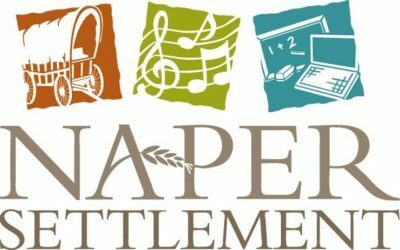 The Van Kampen Memorial Stage offers a terrific venue for entertainment during the annual Eyes to the Skies 4th of July Festival, as well as church functions and more intimate occasions.